This soup is ready, preps-and-all, in 45 minutes. 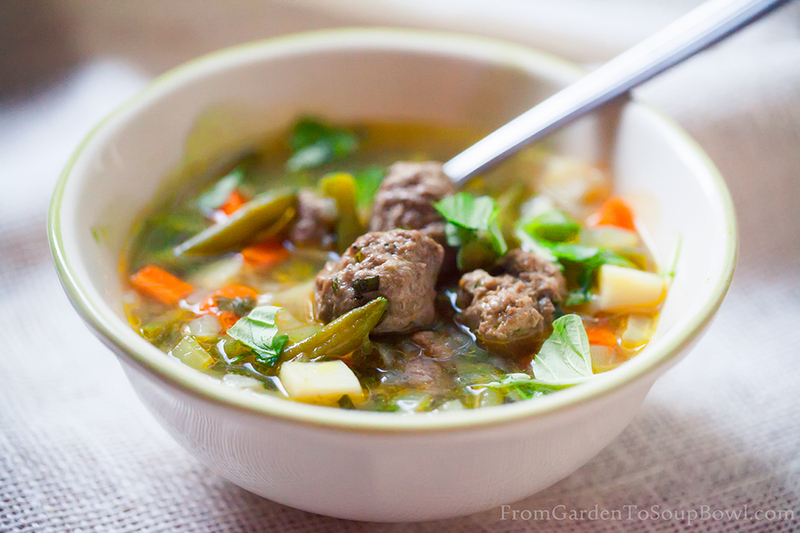 Use water, if you want to cook lighter version of this soup, and beef broth, if you want your soup to have more heft. 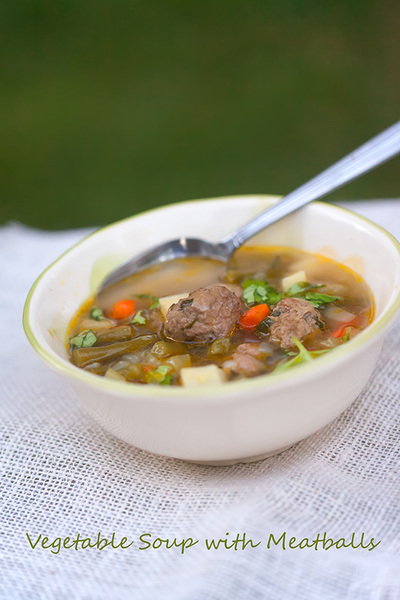 This soup can also be made as a vegetarian version: just omit everything having do with meat and use vegetable stock or water instead. In a bowl, combine ground beef, salt, black pepper, milk or stock and chopped parsley and mix well. 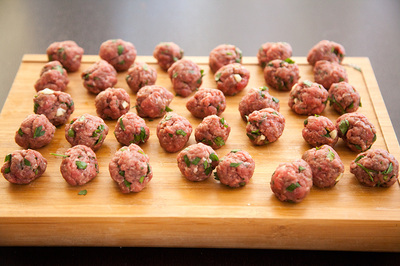 Form small meatballs*. In a soup pot, warm olive oil over medium heat. Add onion and sauté for 5 minutes. 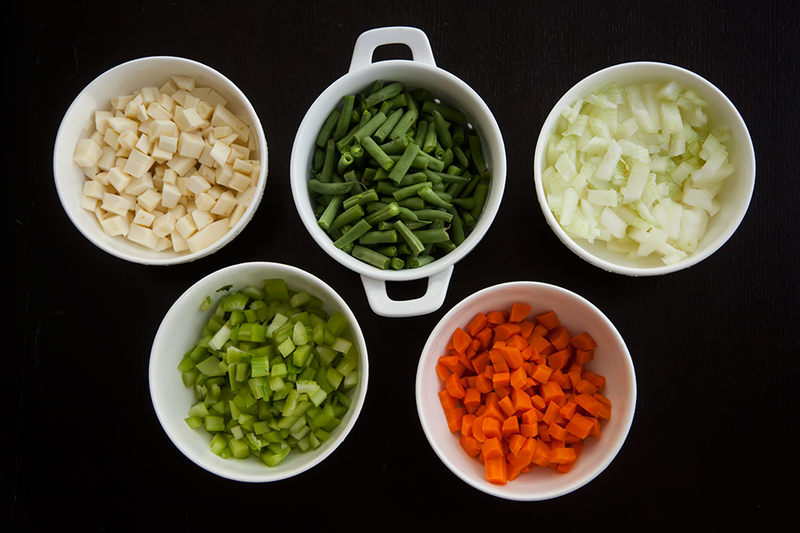 Add carrots and celery and continue cooking for another 5 minutes. Add water, beans and parsnip and bring soup to a boil. 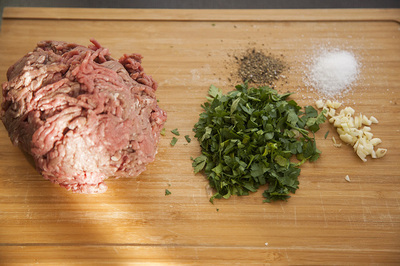 Make sure the soup is babbling when your start adding meat balls. 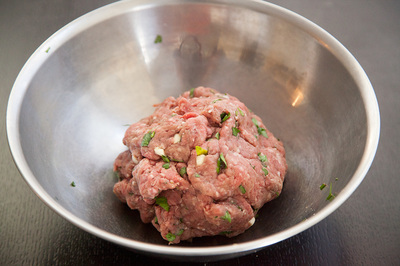 Add meatballs and cook for the final 15 minutes. Tip*: Forming meatballs with wet hands makes it easier to roll them. Mould them gently by rolling the mix between your moistened palms, rather than your fingers.